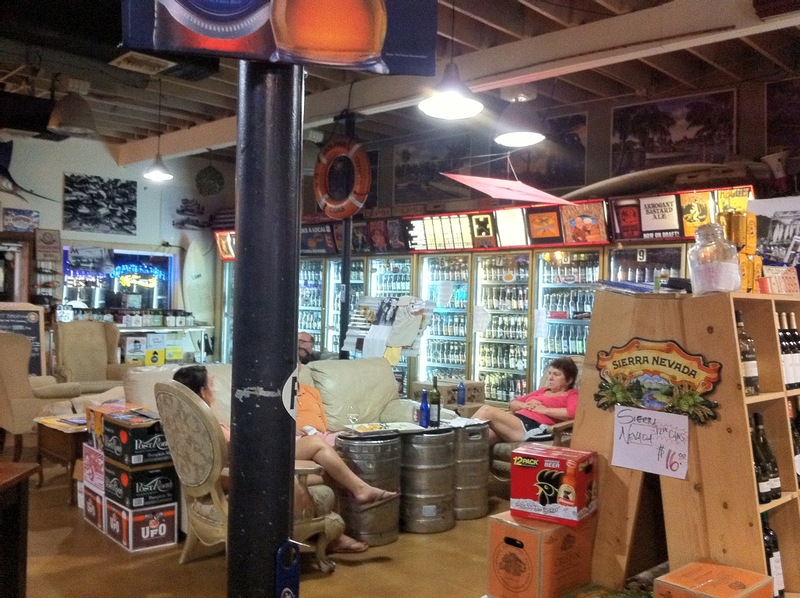 I didn't make a very big splash at the Kona Big Wave Golden Ale beer launch a few nights ago. (That doesn't mean I wasn't entertaining (to myself at least); you can read though to see what I'm talking about.) After the Kona event, Ed Roberts very nicely took me on a tour of Ft. Lauderdale. 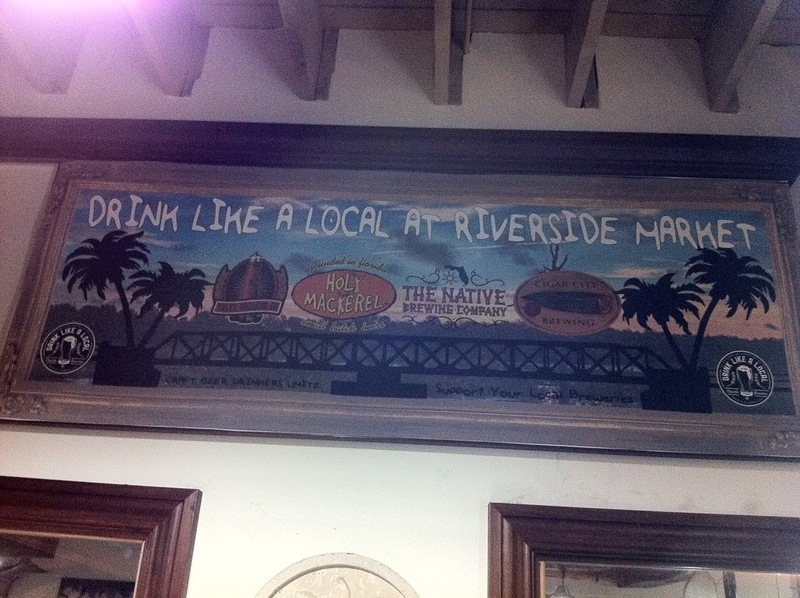 Actually, we were just lost, but eventually he found The Riverside Market Cafe (I told them the website's not working). I had actually met the owner of the place earlier that evening at our first stop, not really that coincidentally. 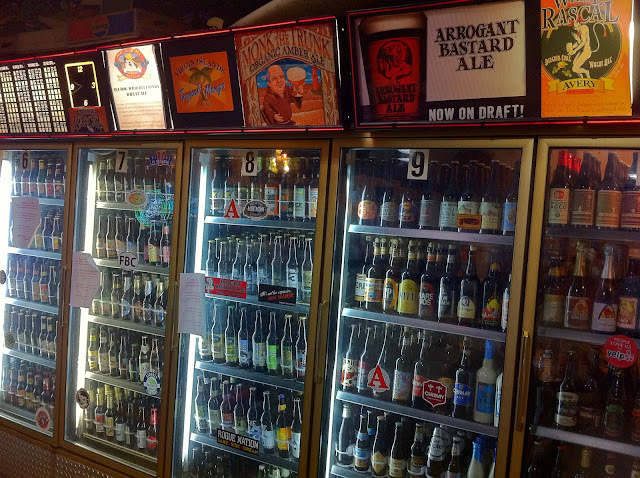 Upon entering, we went over to the fridge to pick out a beer. Great craft selection! If you hadn't guessed already, The Riverside Market is known for being a craft beer establishment, and it was no mistake that we ended up there. 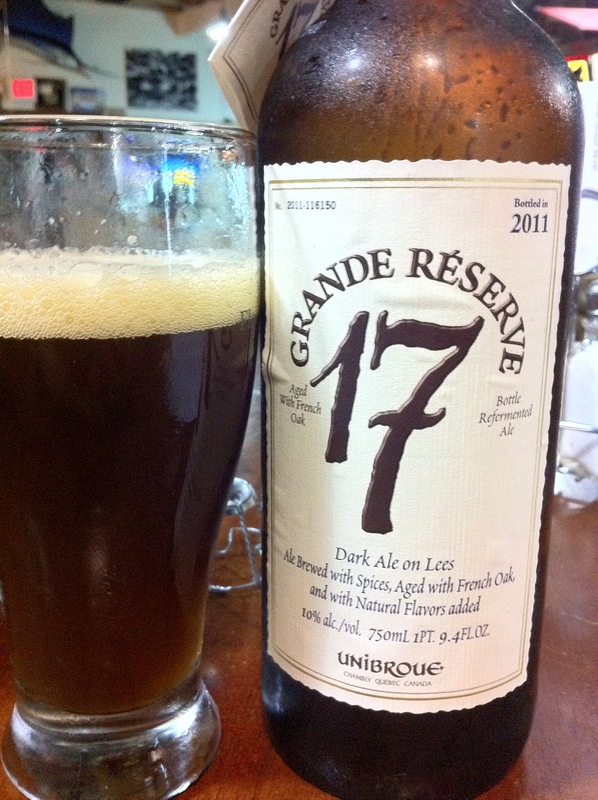 Ed and I decided on Unibroue 2011 Grande Reserve 17, a Belgian Strong Dark Ale originally brewed for their 17th Anniversary in 2007. Yep, people apparently demanded they brew it again! After opening our beer and grabbing a few frosty glasses, we each ordered a light snack. 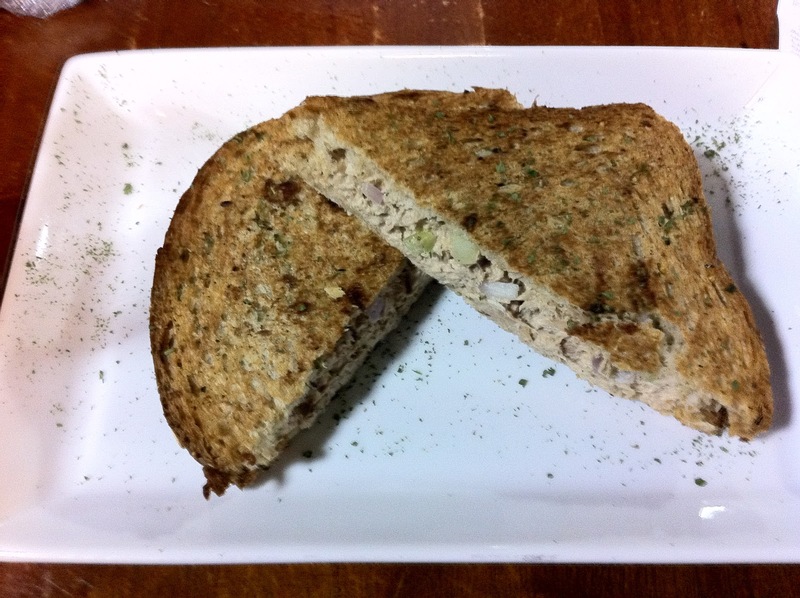 I had a tuna melt, and just because I know he loves food pictures, I'm going to post it here for Brewkkake. Very cool place. A guy walked in with his Labrador Retriever. Another group brought their own board games. 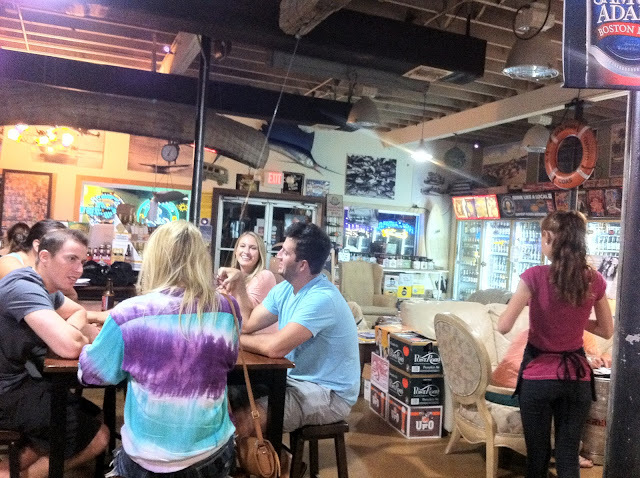 Everyone just kind of did their own thing, grabbed the beers they wanted, and opened them with the bottle openers hanging from the ceiling above each table. So Ed and I thought our first bottle was awesome. Unibroue makes some great beers. In my opinion, they are totally underrated! This former Anniversary Beer of theirs came in a wine bottle with a very simple yet sophisticated looking label. The story on the back will set your expectations. Excellent aroma of caramel and dark fruit. The flavors followed with more of the same caramel coupled with some raisins. 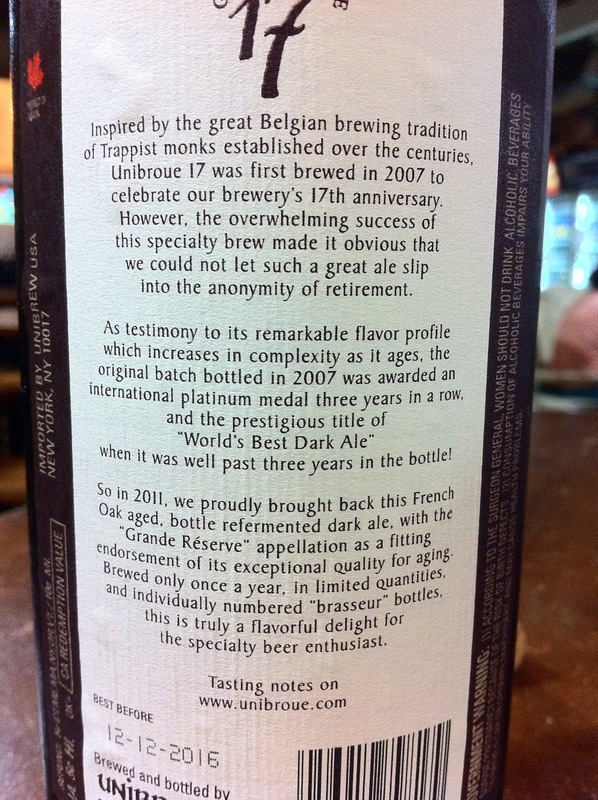 The 10% alcohol added a slight touch of booze but was dangerously-well incorporated into the beer. Belgian yeast was very noticeable and worked well with the butter and brown sugar flavors. Sweet but not too sweet. A little vanilla, some light spice and a cake-type flavor I couldn't stop thinking about. Not very much oak at all, but whatever. Complex and world class. Ed and I had another beer though it didn't even come near this one. Just forgettable. After we decided to call it a night, we went up to the counter to pay. Honor System? Wow and Awesome! We told the cashier what we consumed and that was the end of it. 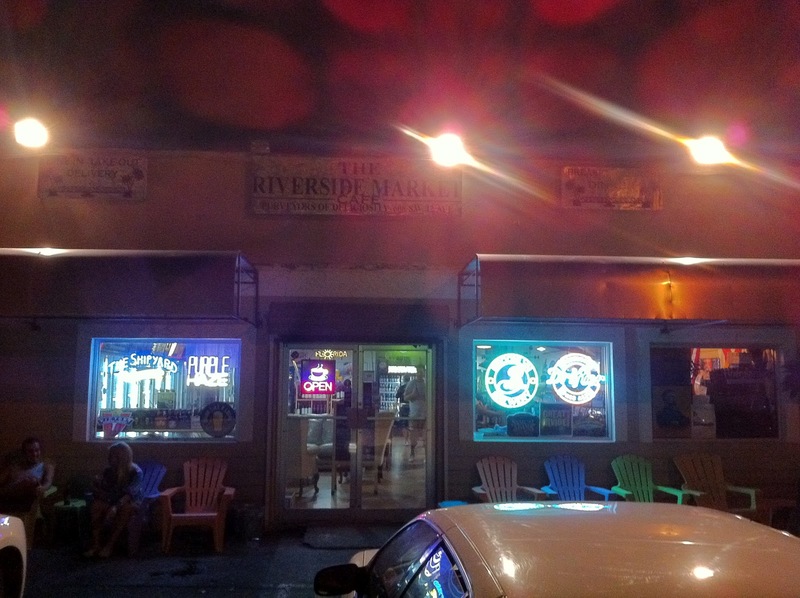 Just as we were leaving, the previously mentioned owner, Julian Siegel, came back. We chatted and listened to a few minutes of his entertainment. Funny guy! I'm sure you remember that I started my night out with that SOPRANOS NJ License Plate in the Bimini Boatyard parking lot right? Well, I decided to end this post with one I came across just as I was almost home. 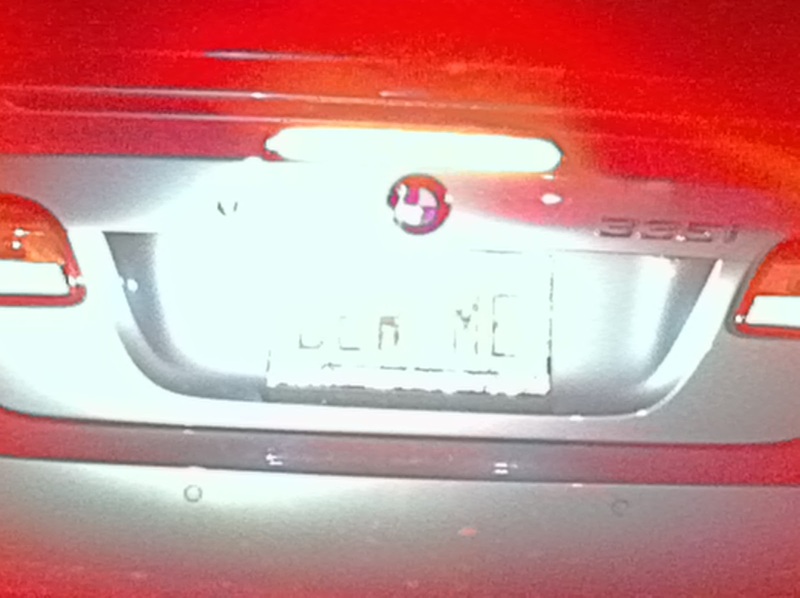 This red Beamer exited on Red Road in front of me. I followed it trying for a great photo for miles. You can probably see the DEW ME plate on the crappy photo below, but remember taking night iPhone pics while moving is not easy. And she turned into Hialeah before I got a better opportunity. Next time!